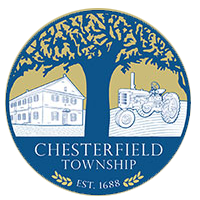 To keep our children safe in motor vehicles, the Chesterfield Township Police Department provides free child safety seat inspections. Our department has a certified Baby Seat installer who is available by appointment, to inspect the installation of child safety seats and educate parents on how to properly install them. Should you require to have a special needs seat installed, please call and ask for Ptl. Daniel Brodowski when scheduling your appointment. To request an appointment for your child safety seat inspection, fill out the form below or call 609-291-0912 ext. 208. An officer will contact you and setup an installation date. All components of the car seat (if it's an infant seat make sure you have the base AND carrier). Also make sure you have the car seat manual as well as your car manufactures manual. It is recommended that you bring your child with you to the appointment so the technicians can show you how to properly secure your child in the seat and how the harness system works. If you are unable to have your child with you please know your child’s current age, height and weight. Without this information the technicians may not be able to install your seat.